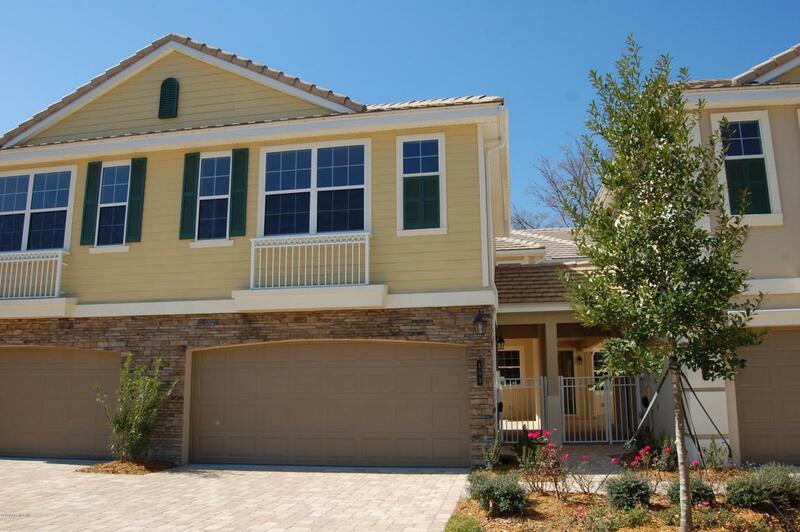 NEW CONSTRUCTION lake front townhome located in the gated community of Isles of the World in World Golf Village. This Pumpkin Ridge floor plan features a Master Suite on the first floor with a gorgeous view of the lake and a walkout to the back patio, as well as, two additional bedrooms and a loft upstairs. Other features include: granite countertops, 42'' cabinets, private gated courtyard with pavers, & spacious Guest Suite above a two car garage. Residents enjoy access to the resort style amenities at King and Bear which include swimming, tennis, and a fitness center. A nearby neighborhood recreation park offers soccer, volleyball, shuffleboard, grills, and picnic area. Great location with ''A'' rated schools and close to Historic St. Augustine, the beaches, and Jacksonville.